Malala Yousafzai- Where Courage Dwells! “One child, one teacher, one book, and one pen, can change the world.”-Malala Yousafzai. It is hard to believe that words brewing with such wisdom and acuity actually came from a sixteen year old girl. But Malala is more than an exception, she is a hero! 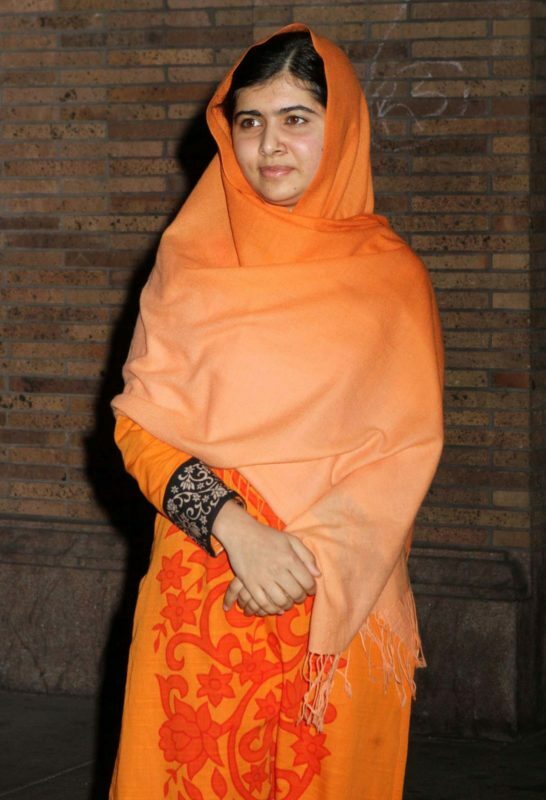 Malala is known for her resilience which soars at levels not all can perceive or withstand. Malala Yousafzai was born in the lands of Pakistan; a small city known as Mingora on 12 July 1997. When we were busy obsessing over the latest album of our favorite artist at the age of eleven, Malala was busy writing blogs for the BBC channel explaining the daily torments and horror the people of her land were tolerating and how much she craved the little things in life which almost seemed impossible to her momentarily. And in the year of 2012, at such a young age, unfortunately she had to go through the most ugly and gravest thing of getting shot in the head by the Taliban. But her courage was made of steel – nothing could bring her down. Amidst the pain, the fear and trepidation – she fought hard, fought through everything and made her way out carving a trail that set ablaze her bravery in the hearts of many – worldwide. Malala Yousafzai stood up not only for herself, but voiced the cries of many victims for primary education and the fundamental rights of women which are often taken for granted. Her documentary “He named me Malala” was broadcasted on National Geographic Channel in the month of February which I remember waiting eagerly for. I strongly recommend everyone to watch the iconic documentary-not to just bring awareness of the current scenario of the country but to be inspired of the endeavor Malala and her family went through and made their way out. The endless threats, attempted assassination and shut down of every possible source of knowledge did not cease, however it made her stronger and indomitable. Was peace and love too much to ask for? Malala Yousafzai was nominated as the youngest candidate ever for the Nobel peace prize and received it in 2014 for her work towards women empowerment and the right to primary education. Gracefully, she used the money to start a school for secondary education for girls in Pakistan. She is disparate from celebrities by practicing charity in its true essence and not for any sort of publicity. Malala intends to share her experiences to build insight amongst people about the struggle and has vowed to keep working towards the cause till every child receives education globally. She has inspired young girls and women everywhere to take a stand in what they believe in, no matter how difficult or frightening it may seem. Most importantly, her humble nature was displayed when she spoke at the UN assembly stating — “I do not even hate the Talib who shot me. Even if there is a gun in my hand and he stands in front of me. I would not shoot him”. She forgives her attackers, she adds. This statement speaks volumes about her. It teaches us that anger and violence leads to nothing more than violence itself. The only way to rise above and bring change is through peace and education. She makes you realize that it is essential to channel the energy in a positive manner and work towards it to bring about a change-selflessly. And she did. She created a phenomenon worldwide. Malala Yousafzai is a true definition of a leader. An inspirational and polarizing figure to all women who has voiced on behalf of so many unspoken, promoting a powerful message of truth, resistance and fearlessness. She believes in her dreams and galvanizes us all to do the very same. We all acclaim and are in awe of Malala.